Hire The Dexter Lake Club Band for you next event: Wedding, Party, Corporate Event, or Concert. Ready to book The Dexter Lake Club Band? Give us a call at 917-848-2145 or email us at info@dexterlakeclubband.com. Or if you prefer fill out the form below and tell us a bit about your event. We will get right back to you with a quote, availability for your date, and answer any questions you might have. Or RSVP for our next Live NYC Wedding Band Showcase. Thanks for your interest in the Dexter Lake Club Band. We’ll be in touch very soon. The Dexter Lake Club Band is available for national and international events. 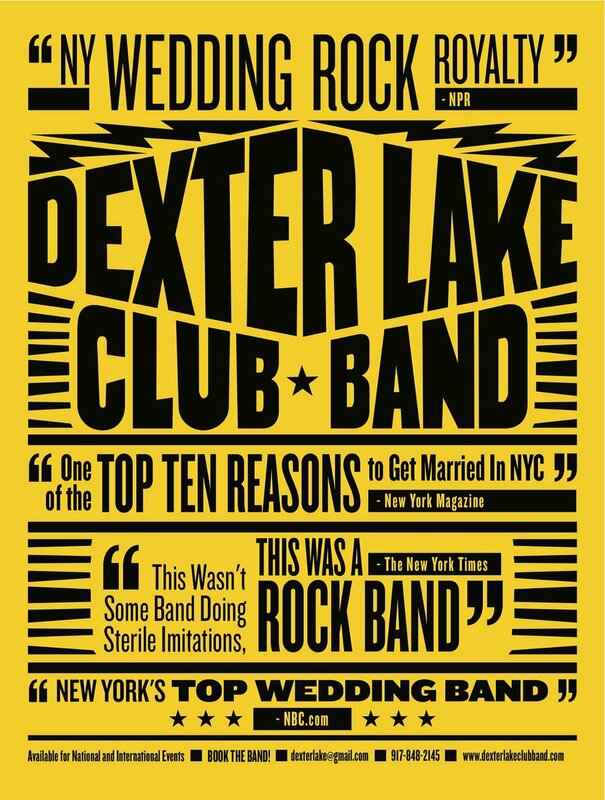 The New York Times called The Dexter Lake Club Band “New York’s Premier Wedding Band.” We were named “America’s Best Wedding Band,” by NBC.com and “One of the Top Ten Reasons to Get Married in New York” by New York Magazine, The Dexter Lake Club Band specializes in bringing high-energy music for weddings, parties, corporate events, and concerts. Olivia Wilde called us “The Best Party Band Ever” and NPR named us “Wedding Rock Royalty.” To book the band you can reach us via email at info@dexterlakeclubband.com or call us at 917-848-2145.